When using poolife® Instant Clear® Cleaning Granules Stabilized Chlorinator, shock treat at least once a week using poolife® TurboShock® shock treatment or poolife® Rapid Shock® shock treatment. Add 3-5 ounces of this product per 10,000 gallons of pool water every other day or as often as needed to maintain 1-4 ppm free available chlorine. 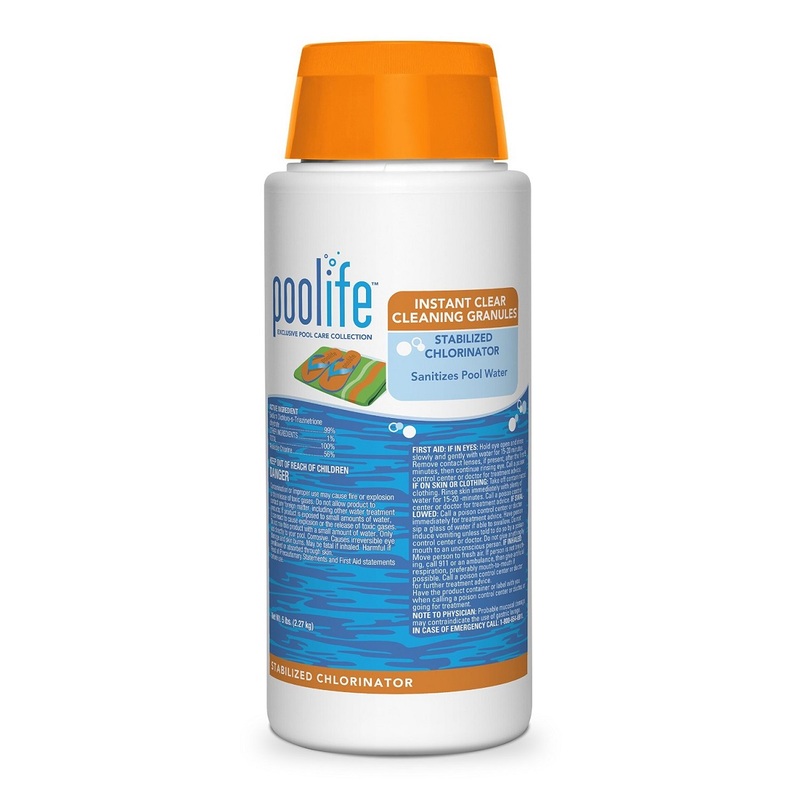 Use poolife® 6-Way Test Strips to test the chlorine and pH levels at least twice a week. AVAILABLE SIZES: 5 lbs. / 15 lbs. / 35 lbs.